Twelve top tips for keeping your pets safe in the sunshine! With the country basking in tropical temperatures, PDSA urges pet owners not to forget about our furry friends as the mercury is rising. 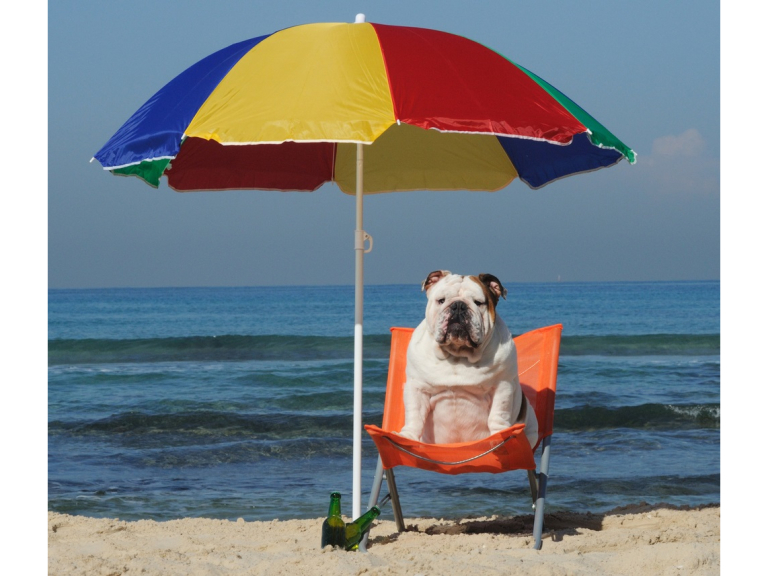 PDSA Senior Vet, Elaine Pendlebury, said: "Pet owners need to be aware of the harm that hot weather can cause to pets. Their smaller body size makes them particularly susceptible to heatstroke and can't tell us when they're too hot in their fur coats. So it's up to owners to spot the signs and ensure they remain happy and healthy in the heat." 1) Never leave pets in cars, not even for just a few minutes with windows open. You may be delayed and temperatures can soar dangerously high in minutes, causing potentially fatal heatstroke. 2) Don't let pets sit out in strong sun, or leave hutches, runs or cages in direct sunlight. Make sure there is always access to shade. 4) Make sure pets have access to plenty of clean, fresh water at all times and change water regularly throughout the day. 5) Know the signs of heatstroke - excessive panting, extreme salivation, distress and collapse. If this happens, gradually cool your pet's body temperature with cool (not cold) water, such as wrapping in water soaked towels that you change frequently, and call your vet for further advice. 6) If you have a long-haired pet, get their fur trimmed to prevent them from over-heating. 7) Walk dogs in the morning or evening - before 8am and after 5pm is best - not only will this prevent them overheating in the midday sun, but hot road surfaces, pavements and sand can burn paws. 8) Rabbits are prone to maggot infestations (known as flystrike) in the summer. Flies are attracted to dirty fur and lay their eggs, which hatch in to maggots. To prevent this life-threatening condition, check a rabbit's bottom at least twice daily for dirtiness and maggots. If you spot any maggots call your vet as soon as you can... If their bottom is dirty, clean it gently with a damp cloth. 10) Put a nearly full plastic bottle of water into your freezer and then wrap it in a towel. Lie the bottle down by the side of your small furry pet's cage, next to the sleeping area. It's not a good idea to put the bottle in the cage as it can cause leaks and make the pet too cold. Put two in the freezer so you'll always have one available. 11) Take extra care if transporting pets in hot weather - keep windows open when the car is moving, but never let a dog put their head out of the car window. Travel during the coolest times of the day and never leave them in a parked car. 12) Fishponds and aquaria can get very hot in the summer - check regularly and make sure the pond has a shaded area.